Feed a family of four for £1 | Three Cheers Pub Co.
We want to do something amazing this Christmas. 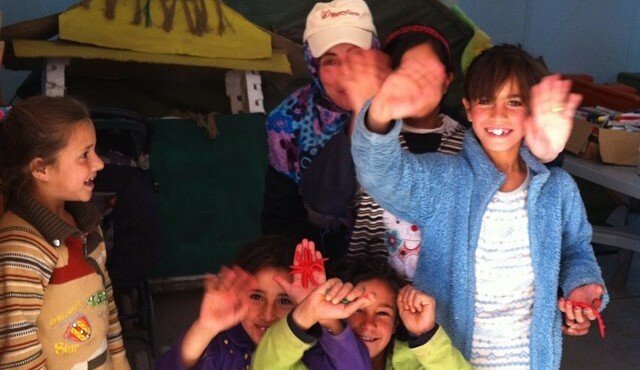 We want to raise money in aid of Syrian refugees who are desperately in need of food. £1 will provide a meal for a family of four. There is therefore the opportunity to donate £1 on the bottom of your bill. If you do decide to give £1, Renaissance Pubs will also donate £1 which will be spent on cooking equipment, enabling people to provide food for themselves. Every single penny you help raise will pay for food. We are working directly with Mercy Corps who work both inside and outside of the camps and will be covering all transport and administrative costs, ensuring 100% of your donation will make a difference. This is a personal project for us too. Amy Peake, wife of Renaissance Pubs co-founder Tom, has been to Jordan this November to see where your money will go and to aid its delivery. Let’s feed thousands of families this Christmas. To get a glimpse of the current situation and the amazing work Mercy Corps do click here.